Google: Love them or hate them, you can't ignore them. Search engines - especially Google - are the entire basis of blog SEO and inbound marketing in general. People use search engines to find content, so we have to work with (or around) Google to try to make our sites rank highly enough to be noticed by customers. However, Google isn't just a "dumb" content aggregator. They have made it part of their mission to try to improve the quality of content writing on the Internet by theoretically rewarding well-designed, content-rich sites and punishing those which have limited content or a poor user experience. Their new "Penguin" updates were aimed specifically at doing this, and it's been having quite an effect throughout the online marketing community. Today, becoming "search worthy" in Google means more than just leveraging keywords and outbound links. Your site has to actually be worthy in the eyes of Google. I. Content is King. Really. We've been saying this for awhile, but it's even more true now. 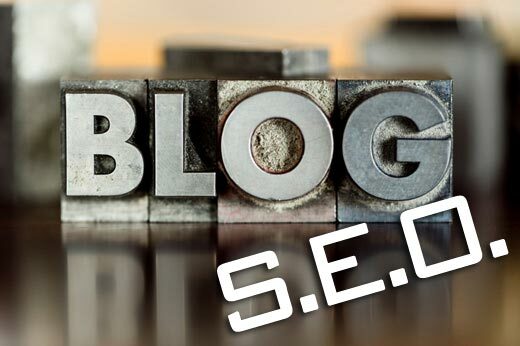 Your blog SEO strategies must be based substantially around finding and providing good content for your customers. Recycling articles, using "autospinners," or any other trick for mass-producing content isn't going to do your search engine optimization any favors. There is a world of content out there to explore: blogs, slideshows, podcasts, video marketing, animations, v-blogs, and more. While your blog should still be the hub of your online marketing efforts, you should always be striving to provide more and better content on your website. This encourages better-quality inbound links, as well as directly helping your site's rankings when Google looks at it. II. Keywords have gotten tricky. Have a series of set, well-defined keywords that you use throughout your materials, possibly bolding them to make them stand out. Keep your keyword rates around 1%-2% of the final word count. Use keywords extensively in subheadings. Use keywords verbatim in your own links, and hopefully, have them used in inbound links to you as well. Unfortunately, this has pretty much all gone out the window with Penguin. Google now tracks keyword variations as well as keywords themselves. In other words, "Lawyer in Nebraska" and "Nebraska Lawyer" now seem to be more or less equivalent in Google's eyes, and they want to see you using variations. Your links, both inbound and outbound, should not bang on the exact same keyword phrases over and over, lest it appear to be link-spamming. Putting keywords in bold is probably pointless. 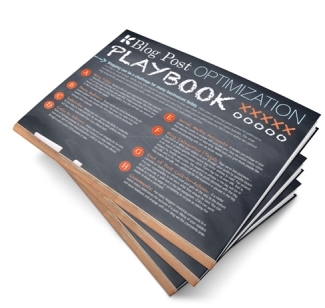 In general, content should be focused on the message over keywords. This might seem annoying, but it's really not a bad thing. The end result of this will be better content, and fewer blogs that are filled with the same repetitive keywords over and over. III. Court better inbound links. Inbound links from reputable sources should be your goal. Trying to farm links in article depositories may still work in a very limited fashion, but you're simply not going to get the same SEO juice that they used to offer. Make connections, talk to other bloggers, and try to get yourself on their radars. Engage in guest blogging, and trade guest blogs with others. Get noticed by major social media players. This, again, is fundamentally all about encouraging better content on your site and discouraging you from taking shortcuts. All in all, it's a time of great upheaval in the blogging and SEO industry. If you have insights into the best strategies today, we'd love to hear them!